Excellent read for athletes, coaches, and parents. ADM is a nationwide model for successfully developing American hockey players. It is by no means a mandate sent from USA Hockey, but a tool that will ensure every kid will have the same chance to succeed. By implementing ADM, associations will see an increase in player retention. Again, ADM is not a set of rules or mandates, but guidelines designed specifically to help kids reach their full potential. The ADM website is for everyone...players, parents, coaches and administrators. Visit the ADM website to view features, videos, practice plans: www.admkids.com. Click here to read a great article on the American Development Model that appeared on NHL.com and in the NHL All-Star Game program. Dr. Stephen Norris is Director of Sport Physiology & Strategic Planning for Canadian Sport Centre Calgary and was the head of Canada's Winter Sports 'Own the Podium' project for the 2010 Vancouver Olympic Games. He has also been an advisor to Hockey Canada in different capacities for over 12 years. His high performance and strategic planning background provide valuable insight into the process of how kids develop excellence in sport from the grass roots level through truly elite adult performance. Watch the video of Dr. Norris' presentation on Potential & Talent. 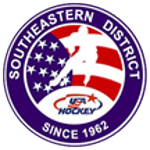 The American Development Model Association program is open to any USA Hockey youth association with the support of your local USA Hockey Affiliate and an association review by your local ADM Regional Manager.